What is Redstone 5 and why is it so important for Windows 10 users? Not much time has elapsed since Windows 10 April 2018 Update, previously known as Redstone 4, was released, but Redstone 5, a new major update for Windows 10, is on its way. By all accounts, it is set to be a great success. So, it is time you got to know this all-singing, all-dancing brainchild of Microsoft. Anyway, Redstone 5 is your soon-to-be OS version, right? Therefore, the more you know about it, the better. And indeed, there are some features included that are really worth anticipating. When will Redstone 5 be released? The exact Redstone 5 release date is yet to be announced, but it has been confirmed for the Fall, 2018. Microsoft claimed that we would see Redstone 5 in either October or November, so let’s hope no delays will occur. By the way, the tentative Redstone 5 release date tempts us into guessing at what the official release name for the update might be. Redstone 4 had been unofficially referred to as ‘Spring Creators Update’ before it was rolled out in April, 2018 under the name ‘April 2018 Update’. As such, we assume there is a high chance that Redstone 5 will become October or November 2018 Update. Well, we’ll see. How much will Redstone 5 cost? The good news is, it comes for free. Anyway, Redstone 4 is free as well, so we hope that is sort of a trend and Microsoft will keep making such generous moves. Like they say, the best things don’t cost you money. But that’s not certain, you know. So, what is new in Windows 10 Redstone 5? What makes it such a coveted novelty? The point is, it is packed full of cutting-edge features, useful enhancements and critical developments. So, let’s take a closer look at those that seem the most striking ones in the lot. As you might already know, we put security first, so small wonder our first focus is on the new security features that are to be delivered with Redstone 5. To start with, the good old Windows Defender Security Center app becomes just Windows Security. Well, keeping names short and simple is a winning strategy, we agree. However, the most exciting thing is the new Block suspicious behaviours feature, which is designed to stop malicious actions performed by apps and files. You can enable it in the Virus & threat protection section. Furthermore, it is now easier to manage your apps and continually keep your OS safe and secure. Thus, you can whitelist an app: for this, go to the Virus & threat protection section, move to Ransomware protection, click Manage settings, move to Allow an app through Controlled folder access, and select the app you wish to use. Besides, the Ransomware protection feature allows you to recover data from the accounts that have been infected with ransomware. And there’s more good news: managing your security providers has become noticeably simpler. The thing is, there is a new page called Security providers in the Settings section – it allows you to see and open all the security tools, such as antivirus solutions, firewalls, and web security products, that are running on your personal computer. Another improvement is that now you can quickly fix your time syncing problems via the Device performance & health section. Also, your web security becomes better: Windows Defender Application Guard for Microsoft Edge is now faster and more powerful. It is easier to tweak as well since it has a new interface embedded in Windows Security. As you can see, Microsoft invested in improved security features for your Windows 10, and yet you cannot overdo things when it comes to the safety of your computer. 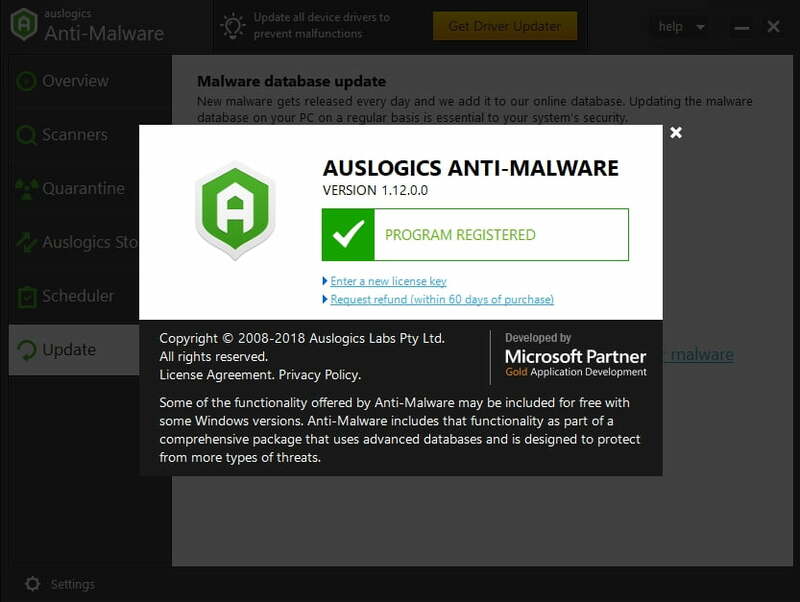 That is why we advise that you go a step further and install Auslogics Anti-Malware: this powerful and intuitive tool will add an extra layer of protection to your defense lines so that you can rest assured that no threat is hanging over your system. Redstone 5 includes plenty of useful features that can make you more productive. For example, syncing is invaluable since it saves you a lot of time and effort. Now you have a convenient clipboard history (press the Windows logo key + V shortcut to access it). It allows you to sync your clipboard experience across your devices via the cloud or clear it with just one click on the Clear button if need be. Searching for things in Windows has become easier. For instance, now you can see search previews with relevant information about the websites, apps, and files you are looking for and enjoy a wider interface designed for better accessibility. The File Explorer menu now enables you to open Linux Shell and sort things by size filters more thoroughly and therefore effectively. Furthermore, in File Explorer, you can now rotate HEIF image files and modify metadata. It is now easier to screenshot your screen sections and entire screen and use handwriting for text entry – those are really handy features. And the most exciting thing is that Windows 10 has a new app called ‘Your Phone’, which allows connecting your smartphone to your Win 10 computer. This means you can migrate data from your iOS or Android mobile device to your PC without actually reaching for your smartphone. This way you can also check your notifications and manage your text messages. Now you can type more efficiently: the new Typing insights feature gets Microsoft Artificial Intelligence to provide you with typing info so that you can enhance your writing skills. Notepad has been updated for better experience. Yep, it is a more convenient tool now. For example, you can search with Bing in the Notepad environment. In addition, you can open files created on Linux or Mac – and they will look the way they are supposed to. Last but not least, there is a new version of Skype involved in Redstone 5. You will find it easier to personalize the app thanks to new themes and group call features. Calling experience and screen sharing have been improved. Accessing your Skype contacts is now much simpler, and you can now take snapshots during a call. There is also the awesome Activity recommendations option, which helps you get back to where you left off when jumping from one device to another – that may come in extremely handy for those always on the go. Microsoft has added new sound settings – ears open! You should go to your Sound settings page and locate the Device properties section. There you can select your spatial audio format as well as name and disable your devices. Then go back to Sound and proceed to Manage sound devices. There feel free to test or disable your output or input devices. Redstone 5 has improved storage settings. You can run Storage sense to free up valuable space on your PC. Just select the new During low free disk space option from the drop-down menu under Run storage sense. And if you do not use some portion of your OneDrive content, you can make it available only online by using the Locally available cloud content option, thus saving space on your computer. You are free to choose how to install apps: go to Settings -> Apps -> Apps & Features -> Installing apps. Then select the option you consider appropriate from the drop-down menu. Your region and language setting pages are now separate, and you can opt for more detailed configurations. The same goes for your Speech and Inking & typing personalization. And the list goes on. Now you do not need elevated privileges to install fonts for a specific user account on your PC. Just right-click on the file and select Install. If you wish to install the font for all accounts, click Install for all users – you will need administrative rights then. That reminds us, you can install fonts from anywhere now. One of the greatest things about Redstone 5 is that it actually cares. Indeed, troubleshooting has been brought to a whole new level. Just evoke your Settings app, go to Troubleshoot and navigate to the Recommended troubleshooting option. This new feature makes your Windows fix issues automatically – you do not need to puzzle over a specific problem for hours and then troubleshoot it manually. 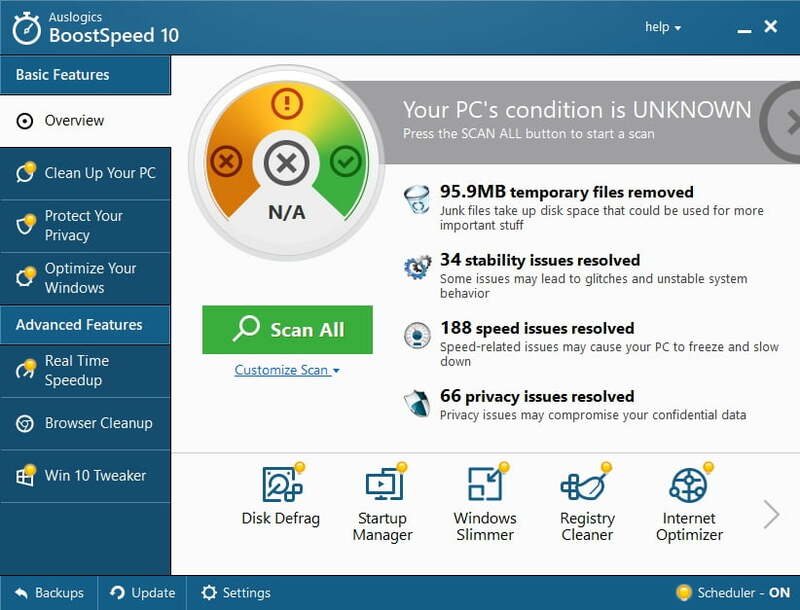 In addition, Microsoft has improved the Diagnostic Data Viewer application. An opportunity to view Problem Reports and their details is a case in point. The Registry editor has been updated as well. For example, now you get help with completing the path thanks to a new dropdown. Redstone 5 is certain to prove a real boon to passionate gamers because this update introduces a new Game bar and an improved version of Game Mode. Your Game bar now allows you to select your default audio output device and adjust the volume of your apps and games. You can also see your frame rate and the usage of GPU, CPU, and RAM there. To improve your game performance, you can make use of Game Mode. Just toggle the Dedicate resources option to On in your Game bar, and Game Mode will make your PC focus on providing the best possible gaming experience. Redstone 5 is intuitive, good looking and capable of pleasing even those who are quite demanding on visual components. For instance, thanks to the option Make everything bigger, you can literally do that. It is actually a good idea to increase text size across the system via your Display settings section – we are sure that your eyes will thank you for that. In the same section, you can also find a new Windows HD Color page with settings for devices that are able to display HDR content. What is more, there is a new setting under the name Adjust video based on lighting, which is designed to help you watch videos in bright environments. The emojis now look a bit different. It is a matter of taste anyway. And there is a dark theme for File Explorer available – at last! Just go this way: Settings -> Personalization -> Colors and activate it. But the most striking experience is, of course, Fluent Design. It is more acrylic now, it has more depth and more shadows. Pretty stylish. Those who use Edge should rejoice: the browser has received its portion of updates and improvements. Please welcome an updated main menu with new items, a customizable toolbar, and a redesigned settings page. To add, you can now control media behaviour with the Media autoplay feature located in Advanced Settings and see what your most favourite websites are by right-clicking the Microsoft Edge icon (although that particular feature may accidentally throw you into some confusion; so, keep prying eyes at bay – that’s what we are driving at). Now it is much easier to organize your tabs in groups, manage your downloads, refresh the Books pane, and choose the scale of your PDF printouts. Finally, as we have already said, Edge is more secure now. It promotes better web authentication – now you can use PINs, security keys and even your biometrics to authenticate to websites in a safer way. That said, your browser is never too safe. The modern-day Internet is swarming with threats, so enhancing your privacy is a must these days. Thus, you can use Auslogics BoostSpeed to protect your sensitive information, such as passwords and credit card details, from getting into the wrong hands and maximize your system performance. Those were the reasons why Redstone 5 is so important. The list above is by no means exhaustive: more developments and improvements have yet to be confirmed. We are sure you will make even more out of the update in question. For now, we can just wait. However, it is essential to prepare your system for what is coming this fall: make sure to update all your drivers – otherwise, you are running a risk of getting bugs, glitches and malfunctions instead of embracing progress. We strongly advise you to use Auslogics Driver Updater: this tool will update all your drivers to their latest versions in just one click. Do you have any questions regarding Redstone 5?